These weekends are full of challenging fun for all ages. Rock climbing & Abseiling, from total beginner to expert our crag has it all. High Ropes, can you complete our tree tops challenge? Kayak on one of the most beautiful reservoirs in Wales. Build your own rafts and compete in inter team races. Hill walking, the wilderness is on our doorstep! Orienteering, a map reading challenge in the forest. Archery, great fun, you’ll get totally absorbed. Discounts available for larger groups – Please call. Easy to get to, but with a real “away from the crowds” feel about it. The Elan Estate is a little known area of spectacular scenery, one of the few remaining unspoilt areas of Britain. 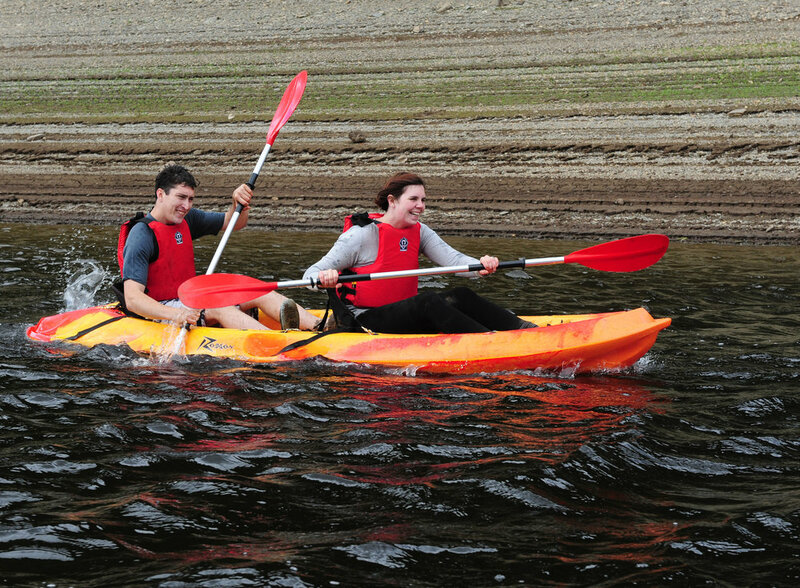 All our activities are within a few minutes of the Lodge which offers you the only 5 star activity accommodation in theUK. Stunning food, licensed bar and really great single or twin en-suite rooms along with our fantastic activities will make it a weekend to remember. Three activity sessions of your choice with first class equipment and expert instruction. Two nights’ bed and full breakfast in excellent single or twin en-suite bedrooms. Fantastic home cooked three course evening meals. Endless tea/coffee and biscuits or delicious home made cake. The most fun you’ve had in ages.